What is a Harley event without some gruff men with chains and tattoos? And behind those shades and leather, are some nice and sweet guys, as always. Photography Tip: If you have the guts to push an ultra-wide angle lens very close, it will yield interesting results. Because it is so wide, people usually take the safe approach and take in everything from afar. I use it near to isolate and to add drama to candid portraits. Up-close and personal, it allowed me to capture the character, personality and mood, in this instance. Olympus OM-D, ISO 200, f10, 1/200 sec. 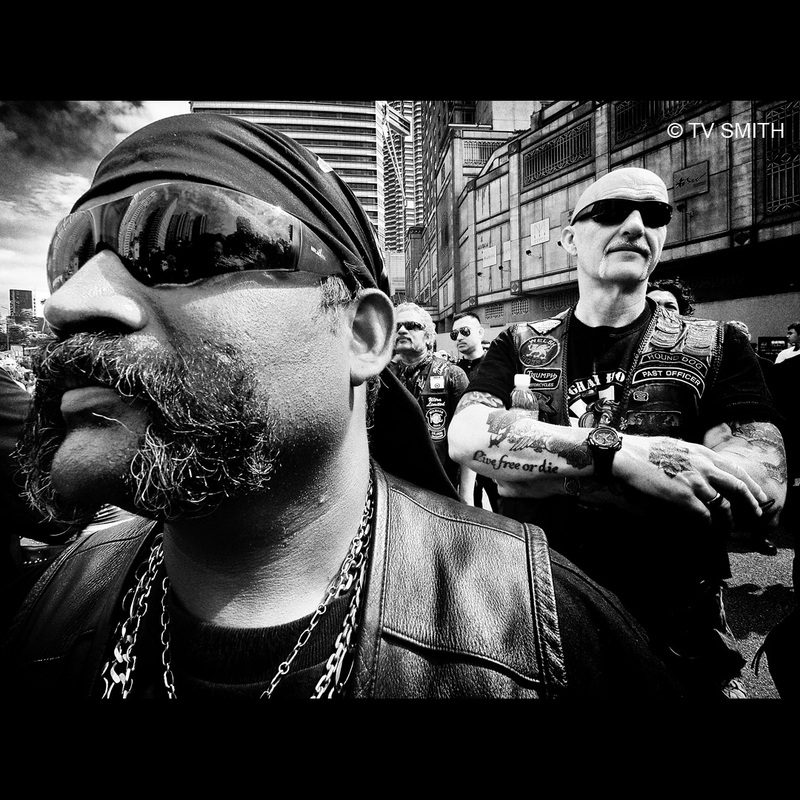 This entry was posted in Events, Instagram, Motoring, News & Commentary, Olympus OM-D, Photography and tagged asia harley days, bikes, biking, black and white, candid, harley, harley davidson motorcycles, harley-davidson, hog, kuala lumpur, malaysia, motorcycles, motorcycling, olympus, om-d, portraits, street photography, ultrawide angle by TV Smith. Bookmark the permalink.